Stefano Boeri was born in Milan in 1956. In 1980 he graduated in Architecture at the Politecnico di Milan and in 1989 he gets the PhD in Land Planning at the Istituto Universitario di Architettura di Venezia. Professor of Urban Planning at Politecnico di Milano, Stefano Boeri has taught as visiting professor in many International universities. Today he is Director of the Future City Lab of Tongji University of Shanghai, a post-PhD research program where planetary metropolitan mutations are forecast. Director of the International magazines Domus (2004-2007) and Abitare (2007-2011), he is author of various books among which: Il Territorio che Cambia (with A. Lanzani and E. Marini, Abitare Segesta, 1996), Mutations (Actar, 2000), USE, Uncertain states of Europe (Skira, 2009), L’anticittà (Laterza, 2011), Biomilano. Glossario di idee per una metropoli basata su biodiversità (Corraini, 2011), A Vertical Forest. Instructions booklet for the prototype of a forest city (Corraini, 2015) and La città scritta (Quodlibet Edizioni, 2016). In 1993 he founded Multiplicity, a research agency involving artists, photographers and analysts, investigating relations between geopolitics and urbanism. In 1999, architect and urban planner, Stefano Boeri founded Boeri Studio, together with Gianandrea Barreca and Giovanni La Varra. 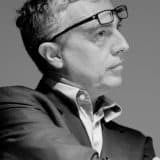 In 2008 he founded Stefano Boeri Architetti (in partnership with Michele Brunello untill 2016) and in 2013, with Yibo Xu, he founded Stefano Boeri China, based in Shanghai. Stefano Boeri Architetti’s work ranges from the production of urban visions to the design of architectures and open spaces, amongst which several waterfronts, like Naples’, Trieste’s, Genoa’s, La Maddalena’s, Doha’s, Marseille’s and Thessaloniki’s, with a constant focus on the geopolitical and environmental implications of urban phenomena. The attention to the relationship between city and nature resulted in the Vertical Forest, the first prototype of sustainable building, covered with 20,000 plants and 800 trees, conceiving vegetation as an essential architectural element. Built in Milan in 2014, the Vertical Forest has received a number of International awards, such as the International Highrise Award in 2014, and it was awarded as the Best Tall Building Worldwide by CTBUH in 2015. Starting from the Milanese prototype of Vertical Forest, Boeri is currently working on the development of urban forestation in several projects and researches, including Forest City presented at the COP21, the International Climate Conference in Paris. With Stefano Boeri Architetti, he designed the first world’s Forest City in China and today he is one of the main players in debate on climate change in the International architecture field.